With Lilburn, Historic Ellicott City, Inc. returned to its roots-the site of the founding of the organization twenty-five years before. With its medieval bell tower and turrets, Lilburn represents one of the most unique examples of architecture in Maryland history. 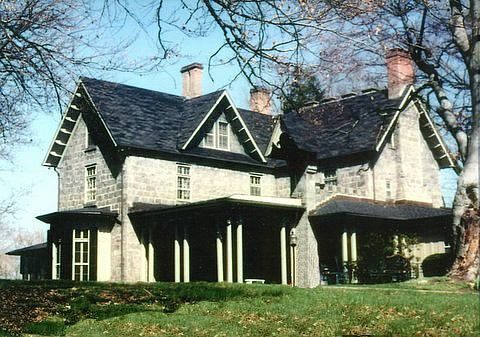 Located on a hill in the Historic District of Ellicott City, it is a massive Gothic stone building built in 1851 by Richard Henry Hazelhurst. Many think the ghost of Mr. Hazelhurst or a member of his family remains to watch over the property. Lilburn was open from September 21 to October 19. The chairman was Janet Kusterer. Over 6000 people attended.